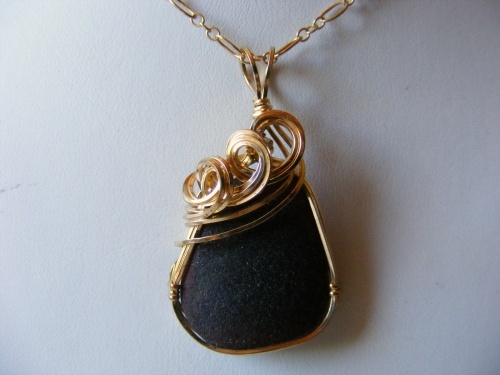 This very dark brown piece of authentic seaglass is so luxurious with the 14k gold filled curls sweeping across it. Very unique and one of a kind. Measures 1 3/4" long from top to bottom and 1" wide. Comes with a gold filled chain.